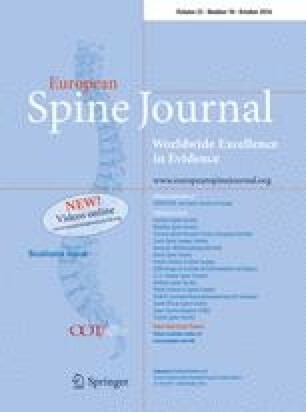 To investigate the prevalence of thoracic scoliosis and determine the effect of both age and gender on coronal curve magnitude among asymptomatic adults aged 25–64 years old, using standing posterior-anterior chest radiographs. This was a retrospective, cross-sectional study evaluating 500 randomly selected digital posterior-anterior chest radiographs taken at a single institution on an outpatient basis between January 2010 and December 2011. Males (n = 184) and females (n = 316) ranged in age from 25 to 64 years. Patients with symptoms of back pain; including a history of back pain, spinal instrumentation, or known pre-existing spinal disease were excluded. Radiographs were evaluated using Centricity PACS Web Diagnostic 2.1 system (General Electric Co. Fairfield, CT). Coronal Cobb angle measurements of the thoracic spine were quantified by the authors, with scoliosis defined as coronal curves greater than 10°. Curvatures were subdivided into groups: a control group with coronal curves less than 10°, curves measuring 10° to 19°, 20° to 29°, and greater than 30°. The effect of age and gender on curve magnitude was examined using Pearson correlation analysis and linear regression analysis. There was a 13.4 % (67 patients) prevalence of thoracic scoliosis. The prevalence among asymptomatic males was 10.9 %, while the prevalence among asymptomatic females was 14.9 %. 11.6 % demonstrated a coronal curvature between 10° and 19° (58 patients), 1.6 % between 20° and 29° (8 patients), and 0.2 % greater than 30° (1 patient). Age and gender were not found to be significant independent predictors of curve severity. We found a 13.4 % prevalence of thoracic scoliosis among asymptomatic adults aged 25–64 years on routine outpatient chest radiographs. 11.6 % of patients demonstrated a coronal curvature between 10° and 19°. Unlike prior studies evaluating asymptomatic thoracic curves in elderly patients, age and gender did not significantly affect curve magnitude in our younger cohort. These data may provide a reference point to help clinicians counsel asymptomatic patients diagnosed with thoracic scoliosis on routine chest radiographs. The authors declare no conflicts of interest pertaining to the manuscript, including financial, consultant, institutional, and other relationships that might lead to bias or conflict of interest. Institutional Review Board approval was obtained to conduct this study.